This is our favorite event at Soule! A sure sign that summer is coming! 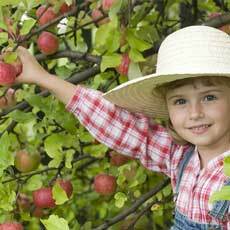 The kids can get outside and enjoy the farm, and there's plenty for parents to do too. Such a fun event to get out and enjoy the farm! This sounds like a fun day for the whole family! 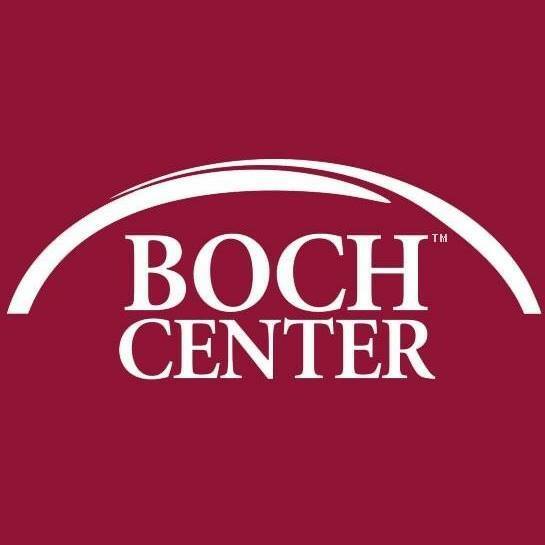 The Family Performing Arts Center is a great place to take the whole family to see a show, they are right down the street, and tickets are affordable! 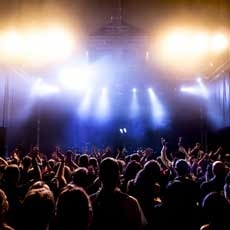 We've loved every show that we've seen there, and i'm sure this one won't disappoint. Can't wait to see it! Such a fun event for a great cause! My son loves Paw Patrol and absolutely LOVED the live show! One of our favorite fall events. Have a fun affordable day with the family and get one more use out of those Halloween costumes! 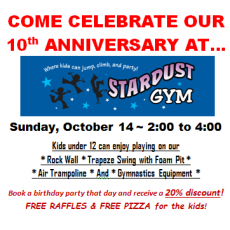 This is a great opportunity to check out all Stardust has to offer and have fun for FREE! Grab a blanket or some chairs and head to this fun movie under the stars! Let the kids stay up late and visit the observatory! Such a great deal for $1! The best place around to get waxing, facials, skin tightening, body contouring, hair cuts and so much more. Fair pricing, amazing attention to detail, and very flexible. 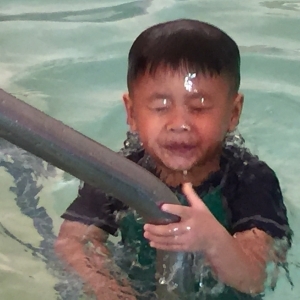 I have heard from friends that Bluefish is an amazing place to learn to swim! I heard this is a great show! It's all about bunnies this week, so fun! Such a fun event! Wear your tutu and run in style! The whole family will enjoy the SparkleFest after party, with lots of family friendly activities! Sounds like a fun show, can't wait to check it out! A sure sign of spring! We love sheep day. 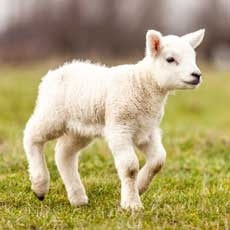 Learn about sheep, meet baby chicks, goats, lambs and more! Get outside and enjoy this spring weather! 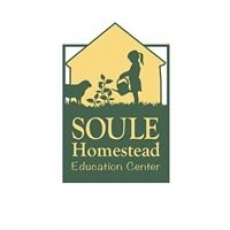 Insider Tip: Become a Soule Homestead member! It's super affordable and you get into First Farm Fun for FREE. Plus you get a free ticket to Sheep Day, Harvest Fest and more! Sheri does wonderful work! Waxing, facials, and so much more. She has an amazing attention to detail and is very accommodating if I need to bring my kids or if I need a last minute appointment. 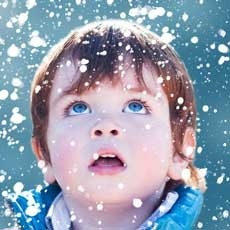 Let the toddlers burn off some of that winter, stuck inside energy at open play time! If you are headed out to eat on Easter you might as well see the bunny! Slime in Easter containers? Sign us up! In past years this has been a very popular event, i'm sure it will be the same this year. These classes are so much fun, especially during these cold winter months. 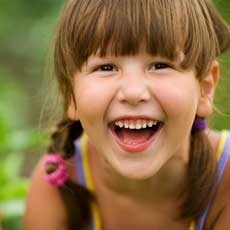 The kids can run around and burn off energy in a safe environment! 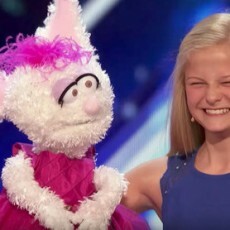 This show is fabulous! This was my family’s first show at the BSU Family Performing Arts Center and we weren’t really sure what to expect. My husband, my kids and I all loved it! When I realized that it was over 2 hours long I thought for sure my kids would get bored, but they were captivated for the entire show, and were sad when it ended. The actors were excellent, the singing was amazing and the story line was hilarious. The venue is small so there isn’t a bad seat in the house. The cast was gracious enough to pose for photos after the show and sign autographs which made my kids day. This show is a definite must-see and we can’t wait for the next production in the summer. A fun way to get out of the cold and let the kids play and burn off some energy. Another great attraction at Edaville! Search for Santa, enjoy chocolate milk and cookies on the train while singing along to Christmas music, and have a fun time! Santa brings everyone a gift too! 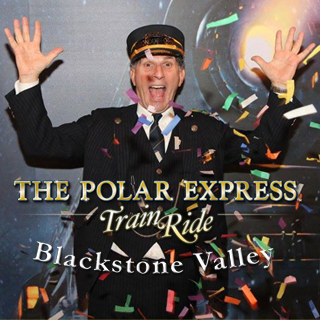 Plus, you get to enjoy the entire park with your Edaville Express: Where's Santa ticket. Such a fun train ride! My kids loved our 'elf' host that joined us along the ride, and enjoyed singing and listenting to stories and playing games along the way. Cookies and cocoa made the day complete, plus they got a surprise from Santa himself! Such a fun show! My kids were dancing in their seats and singing along to their favorite songs. Definitely a must see show this holiday season! Be sure to register in advance, this will fill up! Can't wait for this, it was so much fun last year! 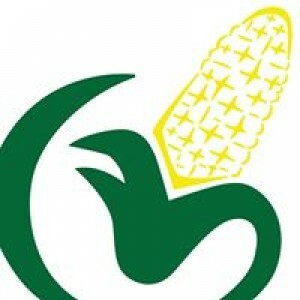 Insider tip: If you become a Soule member, First Farm Fun is free! 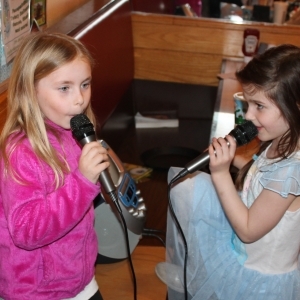 My kids love Kids Night at Papa Ginos. We get there a little early and eat dinner, then the kids craft and play for a while while I relax. 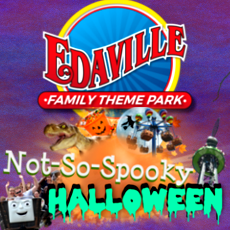 There's only one thing we love more that Halloween, and that's Halloween at Edaville! Dress the kids up and enjoy trick or treating while at the park! So miuch fun! Such a fun event! Get the kids outdoors and exploring all the Soule Homestead has to offer. Lots of crafts for the kids, sheep dog demos, Joe's Crazzy Critters, Raptor show, farm animals, live music, great food and lots more. 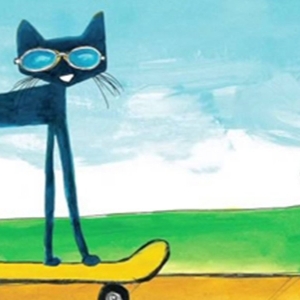 We love Pete the Cat! It will be so cool to meet him in person! We love Krazy Days, there is something for everyone! Storytimes, facepainting, music, food, vendors. My kids love to visit the craft corner, and getting lemonade from Ella's Lemonade. A great safe way to learn about and view the solar eclipse. We can't wait for this one! We have attended this workshop with Big Ryan and really enjoyed it. 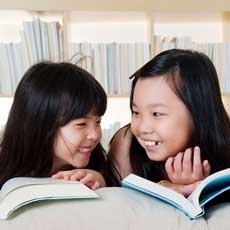 It helps to teach you, as the parent, different ways to read to your child, and different ways to interact with books. Its a great lesson and has helped me 'spice up'our bedtime stories so there's no more same old boring stories. We attended this event last year and really enjoyed it. We learned a lot about local plants and animals, and enjoyed many family friendly activities. There was a bit of a walk to get from the parking area to the festival, so I would recommend a stroller (that can handle dirt areas) if you have little ones. 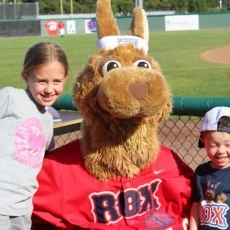 Play catch on the field, photos with K-O, a moonbounce and FREE food! A great way to spend the day with the family! We visited Kidz Night and it was so much fun! Kids 6 and older can be dropped off...they get to paint a piece, have pizza and a drink, and play games from 5-8 for only $20! What a great way to sneak in a date night or go shopping alone! We visited Heritage recently and it was great! We never realized how much was there. There is a great play space for the kids called Hidden Hollow with tons to do, including a treehouse, wooden kitchen area with water pump, full sized puppet stage, adorable mushroom chairs, games, and lots more. My kids played there for at least 2 hours, and didn't want to leave. 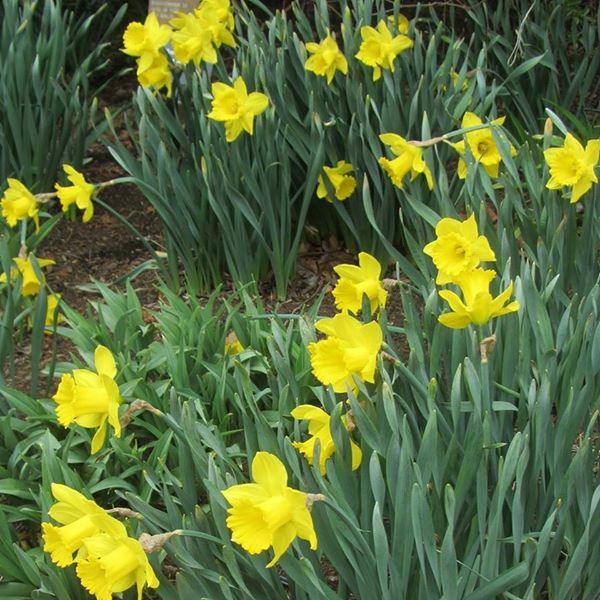 There are acres upon acres of beautiful flowers and trees to look at, with signs to identify what each is, plus an art exhibit, a vintage carousel (included with admission and unlimited rides! ), an awesome 'barn' with beautifully restored classic automobiles, a maze, a labyrinth, and so much more. It is a great place to visit with the whole family and spend the day. You can pack a lunch or visit their cafe which had some great sandwiches and snacks. We can't wait to visit again in the summer for Family Fun Fridays featuring performers and special activities. Heritage is truly a hidden gem on the Cape, and its much closer than I thought, being just over the bridge. Its an affordable, fun place that the entire family will enjoy, and a great way to enjoy the outdoors this summer! One of our favorite events of the year, we love all that Soule Homestead has to offer! 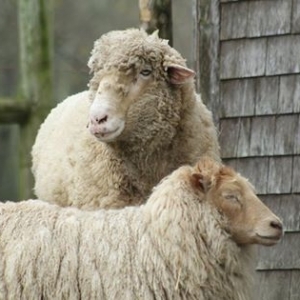 We love hanging with the sheep, goats and chickens, its a great place to spend the day! This sounds fun! 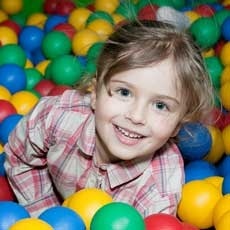 Perfect for the under 4 crowd, a safe place to jump plus Easter fun all in one! This sounds like so much fun! Bonus, it's free!! Jenn is an amazing photographer with great style, creative ideas, patience and skill working with kids, and just does a wonderful job all around. Her photos are truly beautiful and she is great at what she does. My kiddos and my favorite place to play! I love that we can climb, slide, and play together. I got a great workout right along with my kids. The place is huge! There are so many places to play that it never seems packed, even when there are a lot of people there. 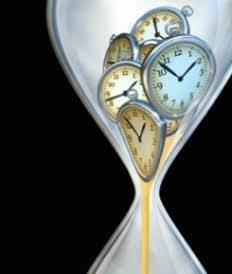 We usually go early, take a break and leave for lunch, and then head back and finish the day, we definitely get our money's worth! What an amazing deal! 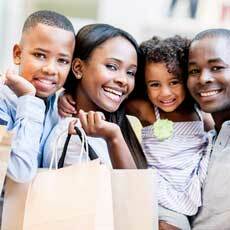 You can let one parent shop while the other hangs with the kids, and then switch off! Leave for lunch and then go back and play some more! Great event tailored for kids with special needs. Edaville also has special sensory friendly bathrooms! One of the most popular events at this library, the kiddos have a blast at the dance party! We haven't seen this group before but have heard great things, can't wait to check them out! Did someone say FREE movies? I'm so there! Amazing fireworks in a small town atmosphere. Stay local and enjoy a fun evening with the family. Please make sure to support the local vendors and donate to the fireworks committee so the fireworks can be held again next year! Such a fun craft to do with Mom or Dad! Follow it up with the paint Dory class and you'll be all set for when the new movie opens! 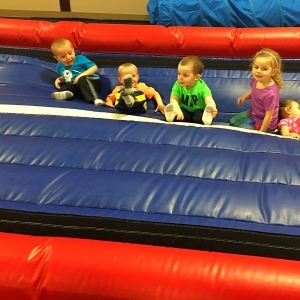 Barn Babies events are always a hit! Make sure to register in advance, i'm sure it will fill up! So much fun! 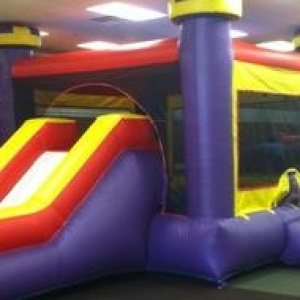 Plenty of jumpies for the kids to explore, an obstacle course, slides, and an under 3 jumpy. I even got a quick massage in the massage chair while the kids played! Went up to the food court for a quick snack and back to play some more. Parents can jump with the kiddos if they'd like, and there's plenty of seating if they want to relax. Will definitely go back! Great free event, last year we really enjoyed watching the K9 demonstrations and the wildlife exhibitions. My kiddos had fun with the crafts too. Such a fun event, I love watching the sheep dog demos, and my kids love watching the sheep shearing and the crafts with wool. 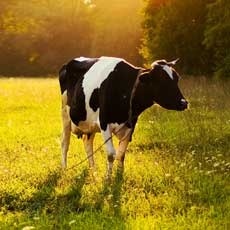 Wear boots or sneakers as you'll be on a farm :). Great free activity for the family! 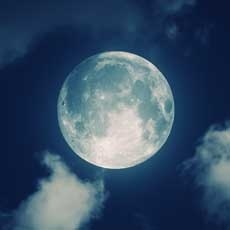 We got to see the moon up close, Jupiter, star clusters, galaxies and more. Tips: Wear a jacket as the viewing is outside. Park in back of the science building, take the elevator to the 4th floor and up the stairs to the 5th floor. The HOPS events are always crowd pleasers...this one features lots of fun for the kiddos while you wait to see if the cow 'plops' in your designated square. Great, country-style fun for the whole family and for a great cause! Invaluable resource for parents. Wish this class was around when my kids were younger! Great time to come and check out all the farm has to offer! Reserve your spot online for this one, i'm sure spaces will fill up quickly. My kids can't wait for this festival every year. Great workshop for parents of little ones, and its free! Fun way to spend the day with the little one! We attended this parade last year and had a blast! Parking tip: Park at Frolio school, but it will fill up quickly so get there early! 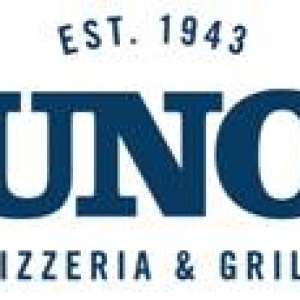 We went to Uno for dinner because kids eat free during vacation week. The kids ordered the make your own pizza meal and loved making it and eating it. We had great service and great food, we'll definitely be back! My husband and 2 kiddos had brunch at the Fireside last Sunday and it was AMAZING! We decided to try it out because the kids eat free, and we were very pleased. We ordered freshly made omelets and toast from the kitchen, and then filled our plates with delicious bacon, sausage, waffles, French toast, fruit cup, yogurt, cereal, chicken Florentine, vegetables, and so much more. The second trip to the buffet included strawberry shortcake and cupcakes and cookies for the kiddos. I loved that my kids could choose whatever they wanted from the buffet, and they were more open to trying new things since they had such a variety. We will definitely be back! This place is AWESOME! There is so much to do, you could play all day. We started with climbing in the playground, which is a maze of tunnels, obstacles and slides. Everything is roomy and sturdy enough for adults to play along with the kids. My 2 1/2 and 5 year olds had no trouble climbing and navigating through every area of the play space. There are a ton of slides, some enclosed, some with a super slope and our favorite were the rainbow slides where you can pick a lane and race your friends. Next we found the ball blaster area and had a blast (literally) shooting the balls and watching them spray up in the air. After that we found Honeycomb Village, the imaginative play area with adorable play 'houses' which included a doctor's office, post office, house, grocery store and more, all stocked with toys, food, dress up outfits, etc. We then headed out to the mall for a quick snack (Billy Beez' snack bar will be open soon!) and then right back to play some more. Mini Beez was a fun place for the younger crowd, it is a smaller scale play area with climbing structures and slides, large soft blocks to stack, and lots more. We played for more than four hours and my kiddos would've played longer if I didn't drag them out. I didn't realize how much of a workout I would get, and I had forgotten how much fun it is to climb and slide. The place was packed and there was a short line when we arrived, but there was so much space inside that you never felt cramped or rushed. It was very clean, the staff was friendly, and just an all around great place to visit. 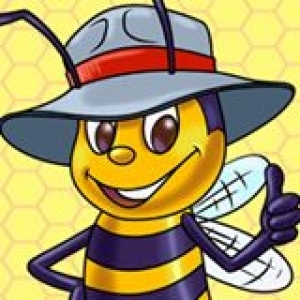 We will definitely be headed back to Billy Beez very soon! Dress warm and wear shoes suitable for a farm. Sometimes we walk through the sheep pasture to meet the animals or walk around the farm. These workshops are so fun and FREE! Shopkins Fans will love this! Trade those duplicates for Shopkins that you don't have! The kiddos (and you!) will love checking out the farm at night! The words glitter, craft, and free all in the same sentence? We're in :). The kids will love the lineup of music and dancing at this great event. We love the storytimes on the farm! On nice days we take a walk around the farm, burn off some energy and visit with the animals. Love the Mad Science shows at the mall! Fun way to ring in the new year with the littles who won't make it until midnight. A very merry unbirthday party! With all your Disney favorites. So much fun! Another fun way to sneak in some Christmas cheer before the holidays are over. Love hitting open skate to burn off some energy and have fun with the kiddos! Bonus-all that skating ensures an early bedtime at my house! Little Critters are one of our favorite series to read! This sounds like such a fun event! One of our favorite holiday events. The fire department does a great job with the luminary candles and the cider and treats at the Surprise Hose House. Enjoy popcorn at the local church and festivities at the Kingston Recreation Department too. I know the kiddos will love it when Mrs. Claus reads to them! Such a fun experience to go to at night time and see all the amazing light displays. A great way to ring in the holiday season! Who doesn't love a parade?!?! 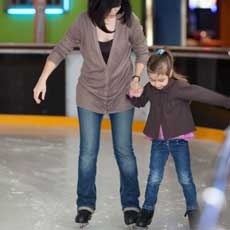 Burn off some holiday calories at open skate. Don't forget your skates as they don't offer rentals. Free horse drawn hayrides and holiday photos, count me in! My little guy loves meeting the farm animal...these storytimes are fun and educational. Soule is such a great family friendly farm. Can't wait to check this out, love indoor bounce places! This is one of our favorite family traditions, we bring the grandparents and bundle up and enjoy the lights. Check out their website for an alternate route to avoid the traffic getting there. Can't wait to check this out, I know my kiddos will love it! Kids can build awesome projects at these workshops, and best of all they're free! Take the kiddos to Sky Zone to burn off some major energy! Such a fun place to take the kiddos, they will love all the amazing light displays. America's hometown is the place to be for the turkey day parade of course! Who knew Santa travelled by fire truck! So cool! This sounds like so much fun, caroling, elves, treats and more...Can't wait to check it out. 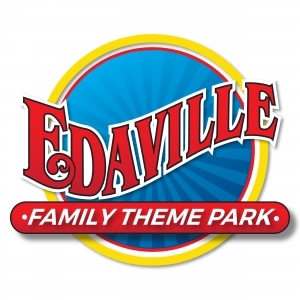 We are so excited that Edaville is opening up for the rest of the year, can't wait! Mom can shop while the kids make crafts...perfect! Can't believe that Santa is here already! Sound like a fun time, magic, crafts and more! 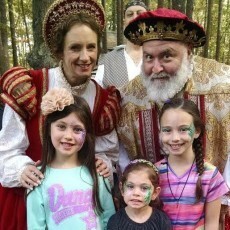 Great time to take the kiddos (and adults!) that prefer a quiet jumping atmosphere. Get there early, the sounds turn back on at 9am. Your Star Wars fans will be so excited to attend this free event! Bring the fam' down to check out the holiday light displays and decorated cabins (and vote for Hulafrog!). 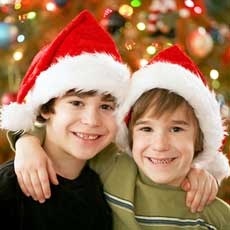 Take your picture with Santa or the Grinch, and enjoy some hot cocoa and cookies. A fun night for the kiddos and only $1 per carload. Sounds like something the kiddos will love! 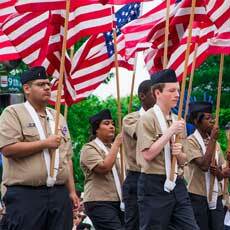 Head downtown and support our local veterans at the parade. Such a cute craft! The kiddos will definitely love making it. These workshops are so much fun! And the kiddos love that they can build things themselves. The whole family can get crafty together! Last weekend to enjoy the maze and all Sauchuk has to offer! 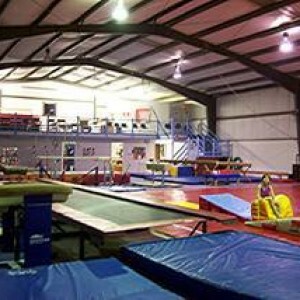 Bring your little gymnast to open gymnastics time to work on his/her skills or enjoy some fun time. Bring the fam' to the library to enjoy some good ole' fashioned fun. Celebrate the seasons with stories, books and songs. The little ones will love it! Carol Carver's playgroups are always great fun for the kiddos! Great way to trick or treat indoors, with the lights on and still have a great time. I wish this class was available when my kids were babies! 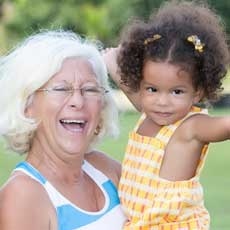 Most babies won't speak until age 1, but they can sign as early as 6-7 months! 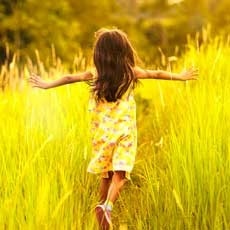 My daughter loves these programs, and I love that she gets outside and back to nature. They typically spend some time outside exploring the farm, and some time inside learning. If you haven't checked out Soule before you definitely should! A haunted house at a camp? Sounds pretty scary to me..... Can't wait to check it out! Trucks and candy? The kiddos will love it! This was sooo much fun last year, tons of trucks and other vehicles to check out. Fun activities for the kids and some fun for the grown-ups too. Definitely worth checking out. We've heard this was a hauntingly good time! Don't forget your flashlight! Check out the dinosaur theme under the stars at this special night that the maze is open. So much fun! And you're supporting a local cub scout pack. Go early for a more family friendly time, or go later to be scared! Trick or Treat during the day AND enjoy all Edaville has to offer. Woohoo! 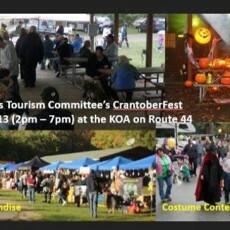 Only $1 per car load to get in, enjoy hayrides, check out the decorated cabins and more. Make sure to stop by and say hi at the Hulafrog cabin. We'll show you some simple, frugal and adorable Halloween decorations that the kiddos can make. Be sure to vote (for Hulafrog!) too. 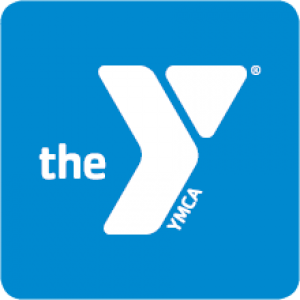 Bring the kids to the YMCA to enjoy some free fun, and while your there check out the facility and what they offer. 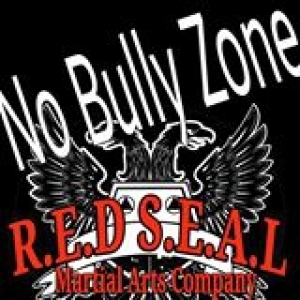 Red Seal Martial Arts Co.
Great time to check out a martial arts class with no commitment. And its free! How cool is this? Find your way though the under the stars. Don't forget your flashlight! Love this sale!!! 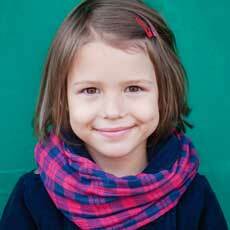 Last sale I got so many amazing bargains on great quality clothing and gear for my kiddos. 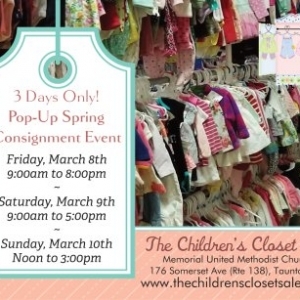 I can't wait to shop this weekend! Live Disney shows are always amazing, i'm sure this one will be a crowd pleaser. 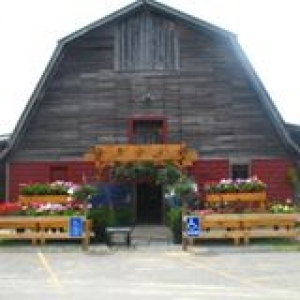 Lots to check out at the farm, maze, slides, hay ride, animals, train ride and more! Get your pumpkins while you're there! This event is always fun! 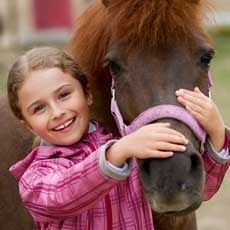 Enjoy so much for free...hayrides, crafts, animals, wildlife and horse presentations and more! Check out the fall flowers for sale while you're there. Halloween crafts and pizza, the kids will be in heaven! The maze is open to the public this Thursday, check it out and avoid the crowds! This is such a fun event, and its only $1 per car load to get in! 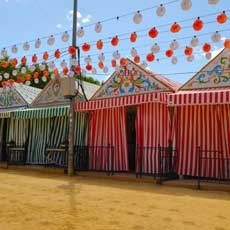 You can stroll along and check out the decorated cabins (and vote for Hulafrog!) then catch the hayride and grab a snack. We love scavenger hunts! The kiddos will love exploring the farm. 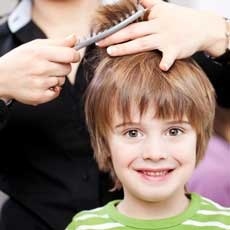 Get those little ones wiggling and giggling, and then hang out after to meet some other local moms and dads. We love this story time! Last week we learned about owls and got to explore the farm. Get those kids moving first thing on Monday morning! I'm sure naptime will be great when you do :). Lowe's Build & Grow workshops are the best, the kiddos get to be hands on and make a great craft. Fun for the whole family! You can learn how to dance while you're there too! Don't forget to use our coupon code Hula15 to save $4! This event has something for everyone from 1 to 91! Can't wait to check it out. We love corn mazes, and this one is Frozen themed! I know my kiddos are going to love it! So much fun! Enjoy a story and make a fun craft on a real farm! The kiddos get lots of fresh air so they'll take a great nap after :). Love the dinosaur theme! Can't wait to check this out. 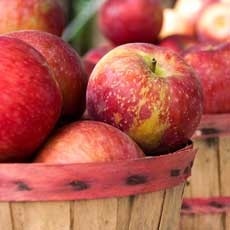 Great apple picking experience and only a short drive away. We love to check out the Halloween room to see all the scary and not-so-scary decorations. We always make a quick visit to say hi to the farm animals too. 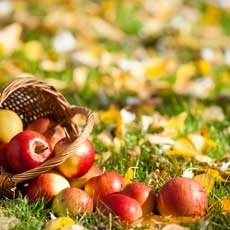 More to do than just apple picking, you could spend the whole day! Beautiful scenery to enjoy while on the train ride and lots of things for the kids to do and see including a playground and a few animals. We LOVE Honey Pot, but go early if you can. It has gotten very crowded over the years. There's a great hedge maze and animals to see. The cider donuts are to die for! This is our newest favorite place to pick. The kiddos love the pedal tractor and hay pyramid. Everyone loves the animals and the delicious apples! A great time for the whole family, listen to live music while the kids enjoy crafts and a hay ride. Our favorite part is the sheep dog demonstration, the dogs are amazing! We love watching the cranberry harvest, it's our favorite sign that Fall is coming in New England. 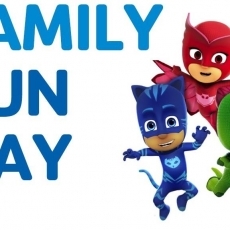 This day is sure to be fun for the whole fam. Love these Kids Club workshops, and this project is adorable! 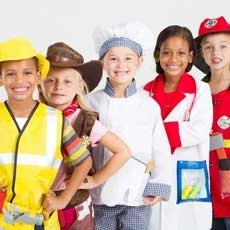 STEM playgroups are great for the kiddos, this will be a great one to check out. Great way to check out all that My Gym has to offer, this is the only class that is open to the public. The kiddos will love this one, stories, crafts & animals, oh my! Pack a lunch and have a picnic afterwards to complete the morning. Best of all, its FREE! 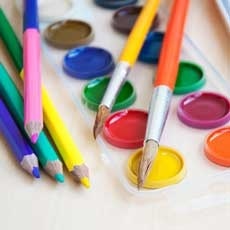 Drop off the kids for a fun and crafty night while mom and dad get out for a few hours alone! What a fun way to send off summer! Cute craft that your kiddo can make to decorate the house for football season. I have gone to this faire since I was a kid, can't wait to take my kiddos. I know they are going to love it as much as I do. Big Ryan has quite the collection of Hulk memorabilia, i'm sure all the little super hero fans will love this! 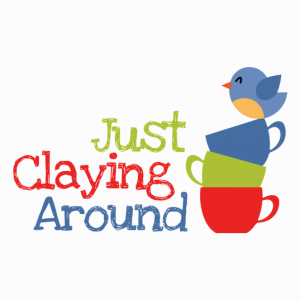 If you've been meaning to check out Claychick, now's the time. Bring the kiddos for some free fun and see all the great stuff you can make. Last year my kids had a blast, they loved the inflatables and kids area, and had so much fun watching the Ducky Dash. 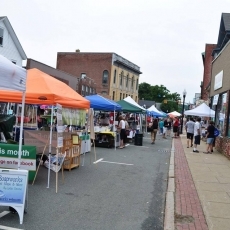 There were so many vendors to check out, it was a huge festival! 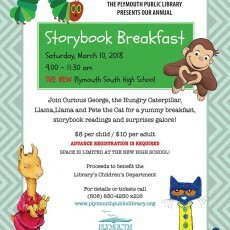 When the Plymouth YMCA and Redbook team up, the events are the best! We've had such a blast at the events they have hosted this summer. Thomas Land is AWESOME!!! 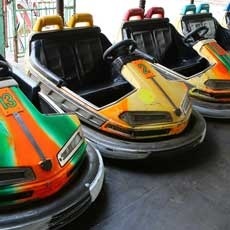 So many fun rides. Love that I can go on the rides with my little ones and not be squished into a tiny seat. Dino Land is a fun and educational walk in the woods. Tons of new rides in the rest of the park too. Pack a lunch and eat it in their covered picnic table area. End the day by fishing in the little pond. Definitely a must visit attraction. Your Shopkins fans will love you when you bring them to this event! A fun way to spend your afternoon, the kiddos will love having a picnic on the farm, and they get to meet the goats too! 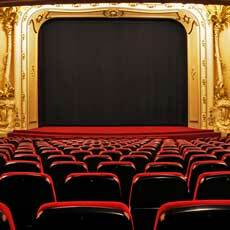 A movie under the stars is one thing you have to knock off your summer bucket list. Now is your chance! Pack your bug spray and blanket and enjoy! Classic car shows are great fun for all ages. There's also free food and some fun kids events (some for a small fee). 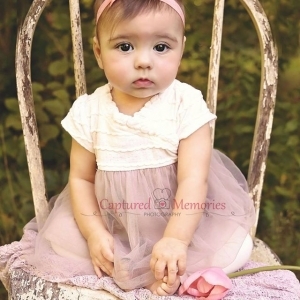 Barn Babies is always a crowd pleaser! Get there early, i'm sure there will be tons of attendees at this great event. Krazy Days is so much fun! Its a big mix of shopping, listening to local musicians, fun activities for the kids, eating some great food and more! My kids love completing the card by visiting the businesses along the route. What a great way to connect with your kids. 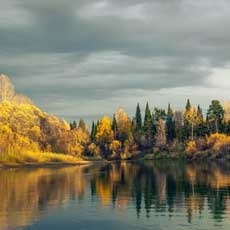 Enjoy fun activities and sneak some exercise in too. Love these free workshops and my kiddos do too. They are very hands on and fun. This is one of our favorite events each year, the kids get to bring their favorite stuffed buddy for storytime and tea. The Wiggles always get the kiddos movin' and groovin'. Such an entertaining group. A favorite playground of my children, lots of things to play on, something for every age. Fenced in and has a covered picnic table area. The Lowe's workshops are so much fun, the kids get to actually build something with their own hands using tools, and best of all its FREE! Let the kids have some fun while the parents get some time to themselves, its a win-win! Super hero and magician all in one, how fun! 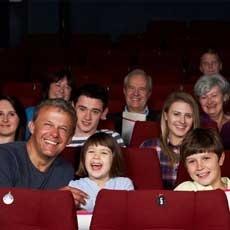 It's so great to be able to treat the kiddos to a movie and not break the bank. This is a great time to see if the littlest ones are ready to sit through a movie, if they can't it's not so bad when you only spent $1. Fun science experiments AND slime, what more can you ask for? This is gonna be a blast! Toe Jam is always a crowd pleaser, and how cool that we get to watch them outside on the town hall lawn! A fun day for all the little princesses and princes, wear your royal finest to the show and meet Belle afterwards! Lots of FREE fun at this event, meet Elsa, enjoy Big Ryan's Tall Tales, carnival games and more! What a fun way to spend a night, baseball followed by fireworks! 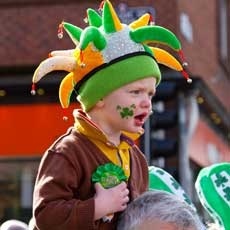 This is our favorite parade, there is something new every year and always great fun. 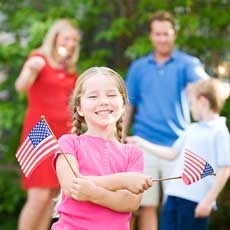 Nothing like a hometown parade, and after you enjoy it you can head over to the family festival to complete your day. Plymouth always has great events, i'm sure this parade will be a crowd pleaser. A fun way to spend the day with the family, and it benefits a great cause! A fun way to spend the day, and some nights include free fireworks! 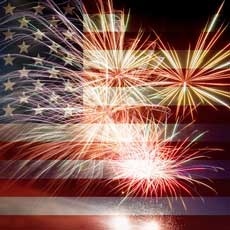 Enjoy the fair and watch some free fireworks afterwards. Nothing like a local hometown celebration. The kids will love it and you won't have to travel far to get home. 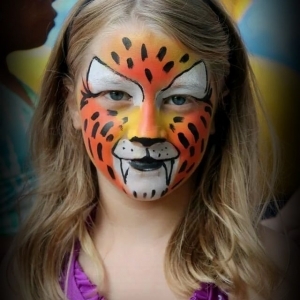 The circus is sure to please kids of all ages! Storytime, playgroup and crafts...what more could you ask for? Discover the power and excitement of air AND play with slime, the kiddos will be in heaven! 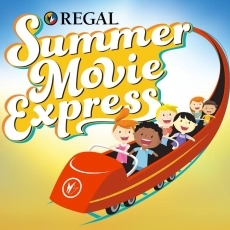 My kids loved going to these movies last year, it was so perfect for only a dollar. Can't wait to go this year! 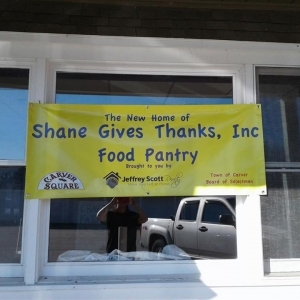 An event that the kids will love and a price that mom will love...bring a canned good from the list to get in. Can't beat that for a day of family fun, plus it benefits a great cause! The kids will love this event, live reptiles AND a movie? Cool! Drop your kids off for this fun night of pizza and crafting...they will never know that it's really you that is getting a night off ;). Build your own Marvel Avenger? Awesome! This looks like a really cute craft, and you can't beat $2 for a homemade father's day gift :). Mud, mud everywhere, the kids will love it! Who doesn't love a carnival? 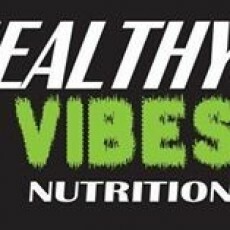 Make sure you check out the coupon on the page link. 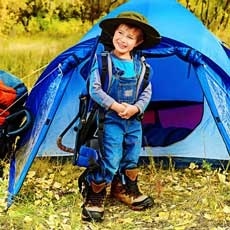 What a great way to get the kids outdoors and active. I've heard that geocaching is the new 'in thing', it will be fun to check out. Got mud? The kiddos will love this mess of monster trucks and mud! Who doesn't love game night??? A fun and inexpensive way to check out the awesome gymnastics center at the Y with no commitment. Double duties as some exercise for the whole fam too! The kids will love flipping, jumping and hanging around on all the great equipment. My little ones can't get enough of it! A great play date spot... let the kiddos burn off some energy while you get to have some adult time for a bit. This is the best story time around for the under 2 crowd. We love it! 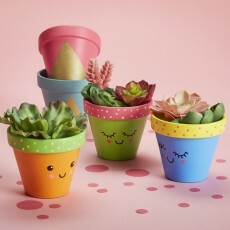 Fun craft time for the kids which doubles as a mother's day gift. Perfect! This sounds like a fun event for the kiddos, they can meet some of the local police officers and check out the police vehicles. 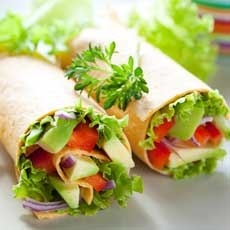 And of course have lunch while you are at it :). The kiddos will love this, who can resists monster trucks and all that fun. You can even go early for a pit party. 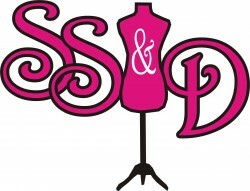 What a fun event to take your daughter, and you can create a lasting memory to take home with you. The kiddos will have a blast here, it is a fun, clean play space with tons of things to keep them busy and burn off some energy. 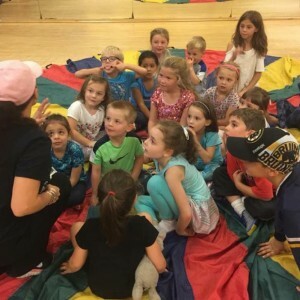 Get your kids moving at this fun playgroup, and guarantee a long naptime :). We have attended Sheep Day for the past few years and my kiddos loved it. We were able to see a sheep dog in action and learn commands from his handler, watch the sheep being sheared, clean and brush the freshly cut wool, make some farm related crafts and a lot more. My little ones had so much fun last year, checking out the herring and getting their faces painted, getting a balloon animal and making some crafts. Can't wait for this year. One last hunt before we put those Easter baskets away. We have heard that this event is a great one. Can't wait to check it out. Stories and yoga, this sounds like so much fun for the kiddos! Paint parties are the in thing right now, your kids will love you for bringing them to this class. 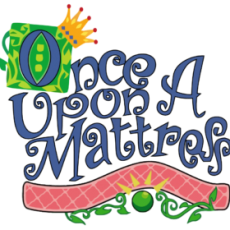 Your little princesses and princes alike will be captivated by this wonderful show. Their favorite Disney characters will take them through classic fairy tales in a theatrical adventure. Fun for the littles, story time and a visit to the farm animals. A great way to help kids practice their reading skills in a fun environment. A great time to check out this great play place while the kiddos get to have some Easter fun. 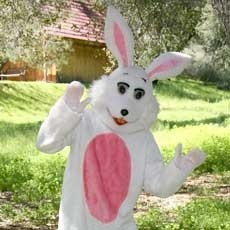 Dress the kiddos up in their Easter best and head on over for pics with the Easter Bunny! Irish Step Dancing fascinates me, this sounds like a fun event. Singing and dancing, sign us up. My kids love to get a move on :). Puppets are so much fun! We know the kiddos will love this storytime. We hear this parade is so much fun! Can't wait to check it out! A fun and affordable way to get out and have some fun with the fam. Michael's craft events are always a crowd pleaser, i'm sure this one will be the same. What a great way to get in the spring spirit, by making a windsock. Breakfast, stories and Big Ryan, what more can you ask for? Count me in! Dads are always looking to get together with other dads and the kiddos, here's your chance! What a great affordable resource for parents. Drop of the kids for a few hours of fun and craftiness, and pizza is included! Mom and dad can enjoy a date night or go home and relax for a bit. 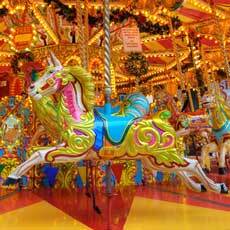 The circus is an event that is sure to please kids and adults alike. Can't wait for this one! My kids love Imagination Movers! They have great energy, i'm sure this will be a great show. Of course, the kiddos will go crazy for this one! Meet Elsa and Anna, get a wand and tiara, your face painted AND your hair glittered? What more could you ask for? I have head that this pool is a great place to swim. Can't wait to check it out! 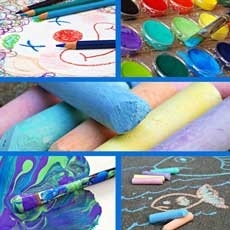 This is a great activity for the bigger kids, a great way to express their creative sides. This rink is great to take the family skating. It is clean and spacious, and the rental skates are great quality. I took my little one for her first time skating recently and she loved it. We will definitely be going back soon. How cool, mad science Pilgrim style! This looks like a fun Valentine's Day class, the kiddos can create some fun make and takes at their own pace. You can pop in for a quick visit and take the kit home, or stay and complete it at the class. Storytime, cards and sweets, what more can you ask for? 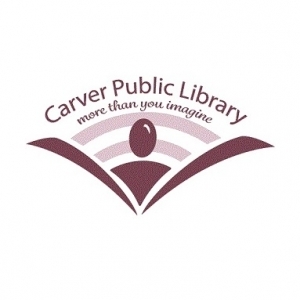 This library always has the best events, well planned and so much fun for the kids. Can't wait! This is a fun craft for the kids, take a cute photo and it would make a great V-Day gift for mom or dad! Truck lovers get ready! This event is sure to be a blast. Best of all, kids are 1/2 price! 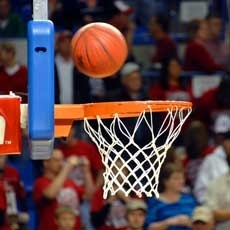 Take your child to open gym to work on their skills, or to just burn off some energy. They'll definitely sleep well after this! This looks like a silly activity that both my kiddos would enjoy. What a fun place to take the kiddos to burn off some steam. 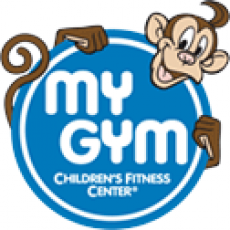 This gym is really fun and has lots of great things for kids of every age. My little ones are big Kratts fans! I know they will love this show. I love that they are learning about animals and nature while they are watching. Fun craft to get in the Valentine's Day spirit. How fun is this? I have always wanted to learn to sew, and now I can along with my daughter! We have had the pleasure of meeting Emily on two occasions and she is wonderful! The whole package really, she looks like Anna, has a beautiful singing voice and played the part perfectly. 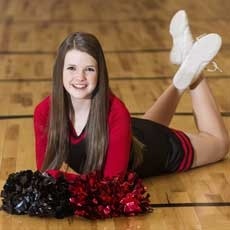 Even better that she is local and a college student, we love to support local business. The kids will have a blast and the parents get a break, sounds like a win-win to me! This storytime is open to all ages, so its a great event for all your kiddos. A fun and crafty way to celebrate Mardi Gras! A fun (and sneaky!) way for the kiddos to practice letters and literacy! Big Ryan puts on a great show! We have attended his storytelling workshop and really enjoyed it. We learned some great tips on how to go beyond just reading the books with our children and how to get them more involved in the story telling process. This is definitely a don't miss event. The kids will love making these winter crafts, and mom will get a break while they work! Fun for the whole family! A bounce house, open swim and a movie in the pool! This class sounds so interesting, your young crafter will love you for taking them. Can't wait for this event, my little ones have been belting out the Frozen songs for months, they will love this! Slap bracelets out of duct tape, how cool! 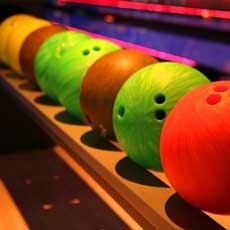 A great way for the kids to burn off some of this winter "stuck inside" energy. 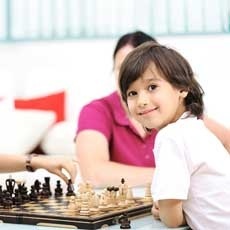 A great way for the whole family to enjoy some downtime and fun all together. A Frozen craft for the kids, you'll definitely be #1 in their book if you take them to this! What a great craft for the kids and its only $2! Mom can do a little shopping while she waits. A little late night fun for the big kids. Great way to burn of some of the winter energy from being cooped up at home! What a great camp for kids this school vacation. 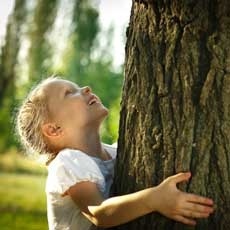 They can get outside and benefit from the fresh air, while learning some science disguised as fun. I'm sure they will love this one! I love Soule Homestead because my kids get to have real farm experiences. It is a place where you can actually get dirty and learn hands on. A lot of time is spent outside, and/or working with real materials to make farm related crafts. What a great way to teach the kiddos about the New Years celebrations and let them have fun "ringing in the New Year" without actually staying up late (and being cranky the next day!). This sounds like an event the whole family will love; stories, music, what more can you ask for? This event is wonderful every year. Many great organizations offer refreshments and a comfortable spot to warm up. The luminaries are beautiful and the Christmas Tree lighting and carolers are sure to please. This is a not-to-be-missed event. The kiddos will LOVE the lights! Stories and Santa, what more can you ask for? My Hula Kids love storytimes where they can get crafty. This one looks great. Can't wait to check out this skating rink! Looks like so much fun! Get the kids moving while you get your grocery shopping done! Definitely drive worthy, the kids will love this! This event is the talk of the town, ice sculptures, tons of kid's activities and fireworks choreographed to music. Can't wait! Visit with Santa, sip a warm beverage and enjoy a pony ride, not to mention over 70 vendors at the Christmas Bazaar. Christmas fun for everyone! Breakfast, crafts and more make this event a must! Hayride, a parade, and lots more at this tree lighting. This is a don't miss event! Enjoy a story with your child and learn some great skills to use at home. Shop local, support your local business and keep the kids busy while you are at it! Disney on Ice is always a great take. This show has a little bit of everything, its perfect for your little Cars fan and your Little Mermaid fan. A heartwarming story that takes place on a cozy train, complete with cookies and cocoa! What a great way to get in the Christmas spirit! 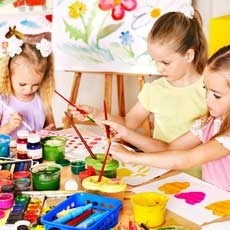 Your kids can get crafty while you get to shop alone, woohoo! You can get your skate on and you won't even be cold! Love it! 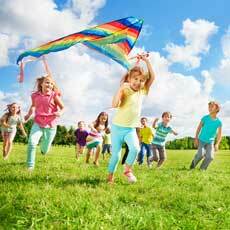 The kids can run off all that energy from being stuck inside, sounds good to me! Santa's coming! Enjoy a hayride and meet the big guy! 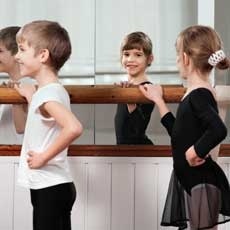 All the little dance enthusiasts will love this! What better place to watch a parade than America's hometown? This parade is the best around. This is one of our favorite holiday traditions. I love seeing all the old fashioned displays and my kids can't get enough of the snow blowing around! What a great way to ring in the holiday season! Grab some friends and head on down to this fab concert, they'll love you for it! LOVE this story, can't wait to enjoy this ride! All about science, Turkey edition. My kids will love this! 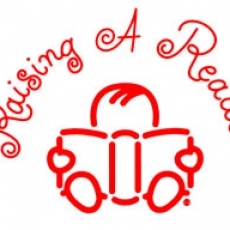 A great beginner storytime class for your tot. Fun the whole family can get in on! 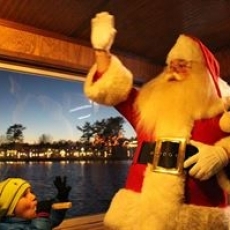 Christmas lights, a train ride and a warm cup of cocoa, what a great way to bring in the holiday season! Critters are on the agenda for this class, the kids are gonna love it! Lots of activites to keep the kids busy at this fun run! 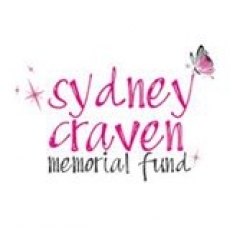 What a great way for the family to get out and exercise together and do something to benefit a great cause. 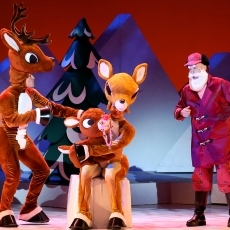 This classic show will delight kids of all ages! Sounds like so much fun! 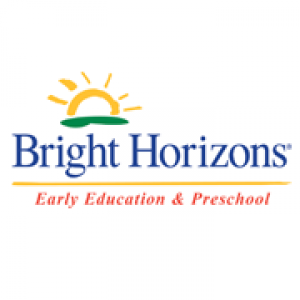 Your child will love this class where he/she can wiggle and giggle and work off some energy. Kids love Legos! 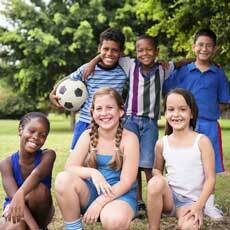 What a great way for your child to make some new friends and play with something they love. Three towns together can only make for a fabulous parade! Free science fun for the kids and parents can get their shopping done at the same time. Sounds like a plan! Plus the kids get to take home cards to experiment again at home. Grab your skates and hit the ice at open skate! Minecraft is all the rage right now, bring your laptop and you can play with your friends at the library. Cool! I've always wanted to learn to sew, how fun would it be to learn with my daughter? Kid's night is known to be the go to place on Tuesday nights! Crafts, games, dancing, and much more, the kids love it! 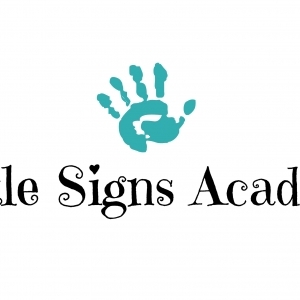 My kids love these hands on workshops, and I love that they are free! Smashing pumpkins?!? My kids will love this! Trick or treat at Campanelli Stadium, how cool! You can take your photo with KO and enter into a costume contest! 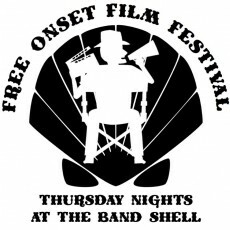 Free admission and trick or treating for kids in costume? Sounds great! You haven't experienced a corn maze until you've walked one at night! This sounds like a ton of fun! Festive and crafty! Slightly scary fun including a spooky train ride and bewitching carousel ride, can't wait! Rides, pumpkins, dinosaurs oh my! Sounds too good to be true, can't wait to check it out! This party sounds like it has it all: trick or treating, pumpkin painting, dance zumba and warm apple cider! Not only a hayride, but you get to see hundreds of jack-o-lanterns too. Sounds like a blast! What a great, fun way to keep the kids busy on a half day! Trick or treat at downtown Plymouth businesses during the day, then be home before dinner, or go back out in your own neighborhood! 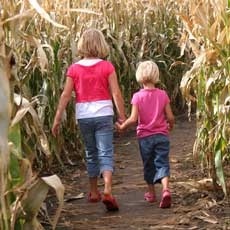 Not only a maze but pony rides, hay ride, hay pyramid and more, check it out before its too late! Has your dog joined you and the kids at the maze yet? Well now's your chance! Kids love clay! Get a jump start on Thanksgiving decorating! Love, love, love movie nights! What a great way to celebrate Halloween a few days early!